Due to the 'summer of discontent' post, I am expecting the SP500 to ultimately push to the 1250 level. In the mean time, here is where I think it can go short-term. 1. China's housing market is officially in negative territory. 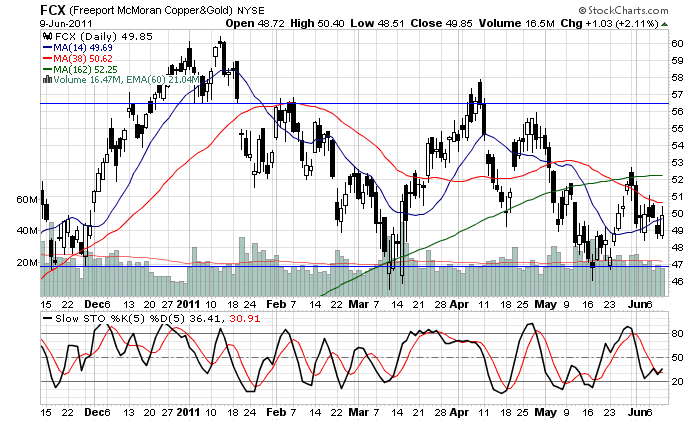 China has a ton of money to absorb this issue, however I do think it only re-enforces the negative thesis toward copper. 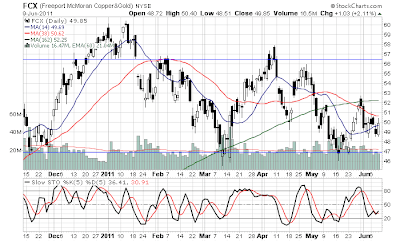 With FCX advancing toward its 50SMA resistance, I added to the short.